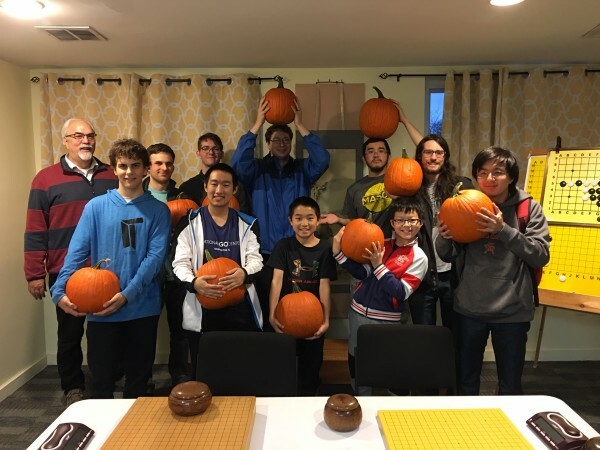 Nearly three dozen — 33, to be exact — players competed to take home Halloween pumpkins at the National Go Center on October 27. The top finishers in the open section were Frederick Bao 5D (pictured, front center) a nd Justin Teng 6D, each 3-1. Frederick was the overall winner on tiebreaks. All 4-0 and 3-1 finishers (pictured) happily took home pumpkins.